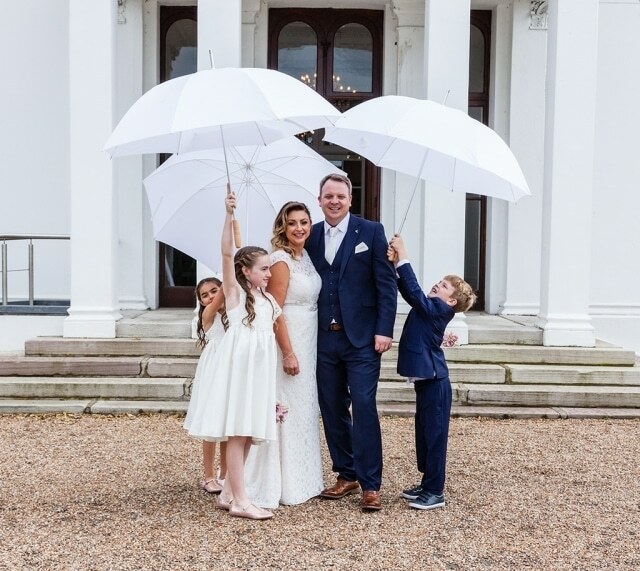 The grounds of Bantry House are the perfect setting for this couple and their three daughters. Their love just jumped through the lens at me – I just had to be sure to be in the right space in order to capture the sparks. On a summer’s day its hard to beat the views at Dunmore House Hotel in Clonakilty. Located by the sea, the biggest challenge is deciding which location to choose. 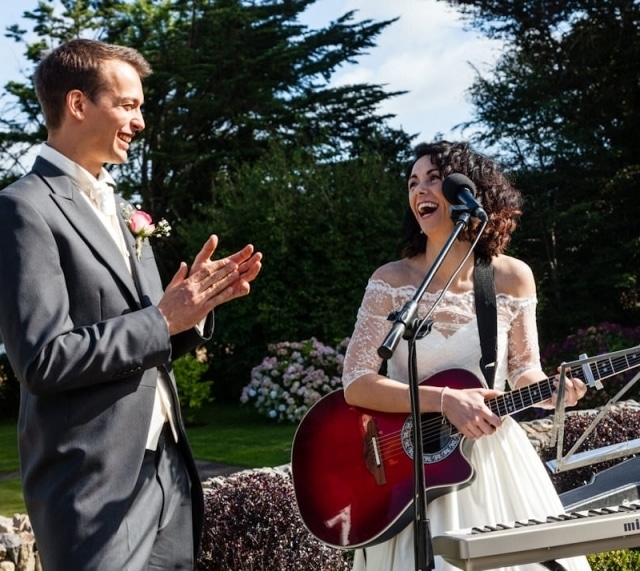 But the bride and groom wanted to add some of their favourite local Rathbarry sites as well. 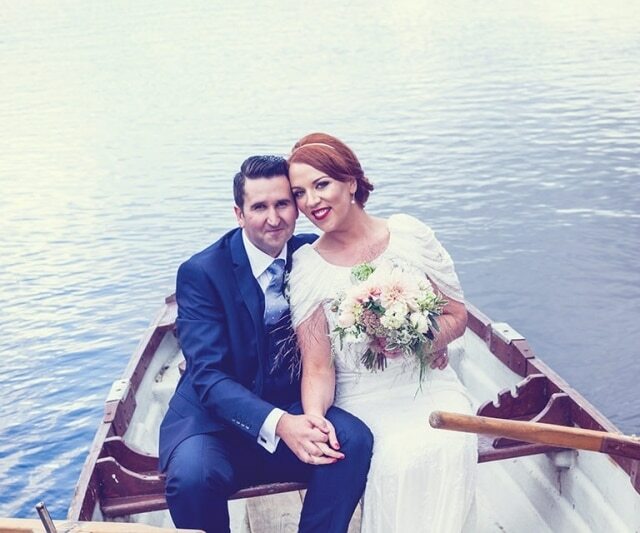 I searched for a good local Cork photographer to capture our wedding day in Bantry in April 2018, and discovered Kathryn's website quite quickly and fell in love with her beautiful pictures and her quirky relaxed style, and she was thankfully available! On the day itself I had a bit of a chaotic morning as my three little daughters were also getting ready with me in my room in the Maritime Hotel, and Kathryn was not only a warm and bubbly presence, she actually helped to get me dressed and helped keep the show on the road!! She is such a professional, so funny and a little powerhouse! I really don't know how I would have managed without her there. 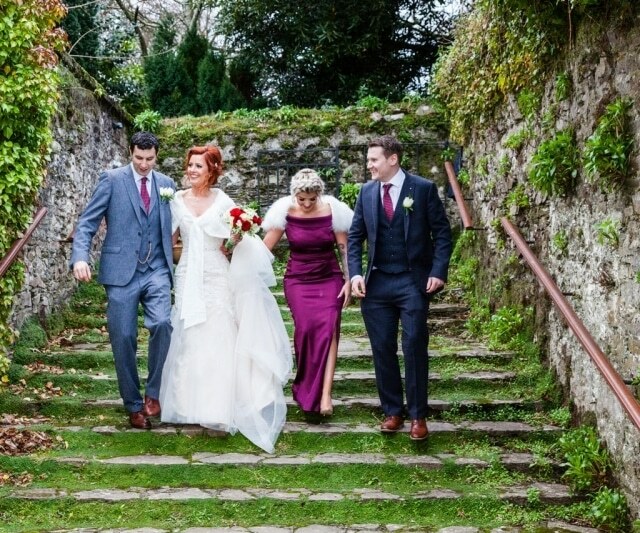 We went up to Bantry House for more pictures after the ceremony, and Kathryn was fantastic at controlling my lunatic gang. My husband is normally allergic to photos but even he says it was great craic! I didn't even care about how the pictures looked as we were enjoying the whole process so much! Kathryn sent me some snaps the next day, and somehow she had managed to make us look like something out of a fairytale... I nearly fell off the chair i was sitting on, I still can't stop looking at us! She is a complete gem, magical! Don't hesitate to book her. She is perfect for capturing your wedding day, the proof is in the pictures. We were absolutely delighted to have Kathryn as our wedding photographer. From our first conversation I knew Kathryn would be ideal for us. She has a lovely easy going manner which was ideal for us & our three children. We had great craic with her on the day & she managed to get everyone we wanted in the pictures with ease. We didn't want to spend too long on pictures post ceremony, Kathryn got an amazing amount of stunning pictures in the short time we gave her. 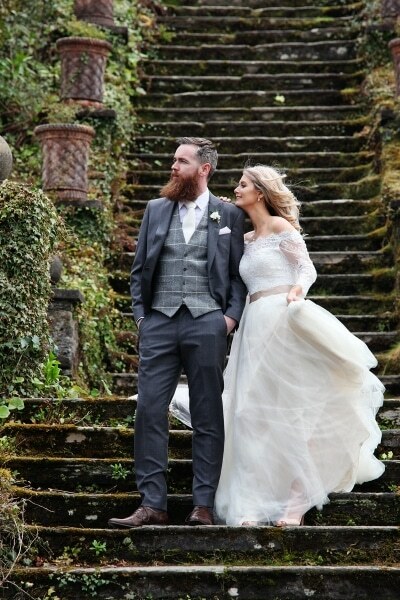 She also made great use of our fab venue , Fernhill House Hotel, Clonakilty. 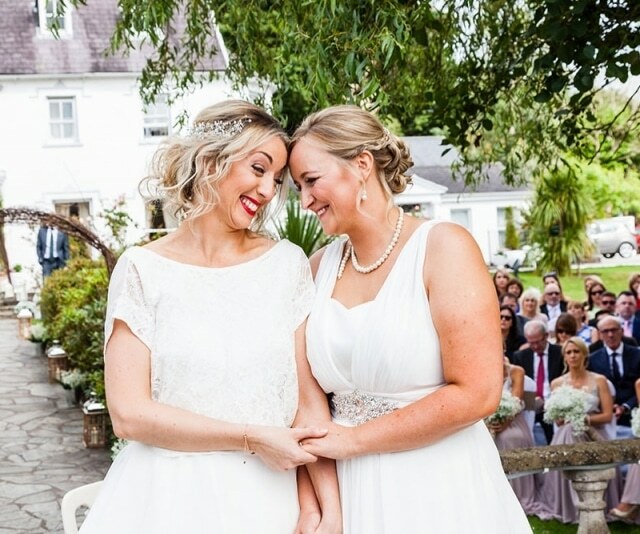 She captured our day brilliantly, the pictures are all very natural & relaxed which is exactly what we wanted. What drew us to decide on Kathryn as our wedding photographer was firstly we liked to look of the pictures on her website and then as soon as we met her we knew she was the one for us. From the off she made it all very easy. On the day of, she was excellent.She made everyone feel at ease and wasted no time getting the pictures taken. We went to our local beach for our pictures and it was honestly one of our favourite parts of the day. She caught every moment perfectly and our pictures reflect that. Delighted with our choice and both families commented on how brilliant she was as well. Kathryn was our photographer for our wedding in Clonakilty. From start to finish she was professional, creative and, most importantly, kept us all smiling and relaxed. We wanted to keep away from photographs that were too 'posed' and Kathryn did this brilliantly. She was very considerate of our wishes throughout the day and made a huge effort to get snaps of the people who were most important to us. We couldn't be happier with the photos - they were absolutely beautiful...our only issue is deciding which ones we want to frame because it is so hard to choose our favourite!! We would highly recommend her as a wedding photographer! Having seen Kathryn do my best friend's wedding there was no doubt in our mind that she was the photographer we wanted. We contacted her quite early to avoid disappointment as she was most definitely the photographer of our dreams and we're delighted when we heard she was free. 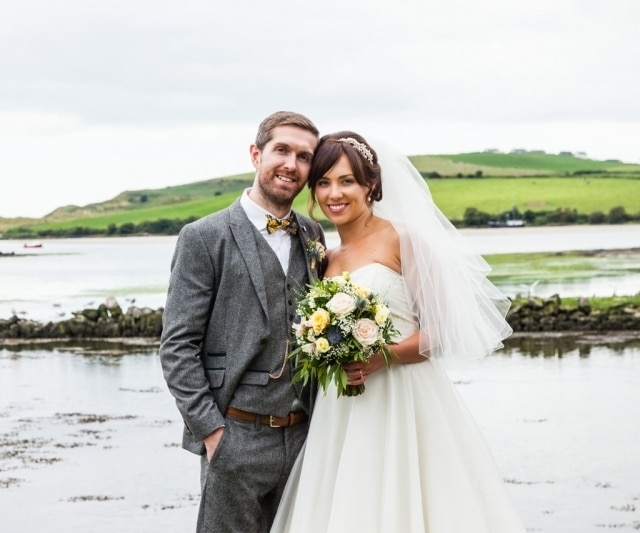 Kathryn made our wedding day so relaxed, her humour and up-for-the-craic characteristics made our day so enjoyable. Kathryn helped with every aspect of our day and kept everything running on time. Kathryn captured the most amazing photos which we will treasure for a lifetime. Picking Kathryn to be our wedding photographer was the best decision we made when we were planning our wedding. It was an absolute pleasure to work with Kathryn. We were planning our wedding from abroad and Kathryn was extremely helpful and made herself available to meet us when we were home. Kathryn recommended a brilliant location for us to have our photos taken. We were thrilled with the photos. Kathryn made the day so enjoyable for us. 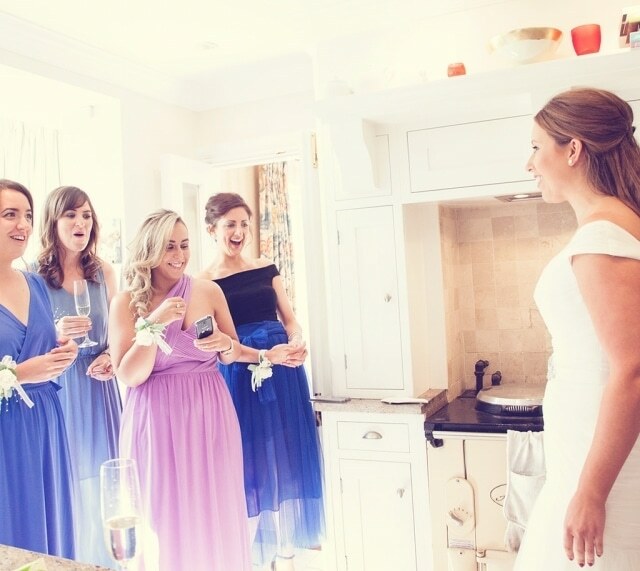 Not only is she an extremely talented and professional photographer, she also has a bubbly and friendly personality and she instantly put everyone at ease on the day. When it came to the minefield of choosing our wedding photographer we knew exactly what we didn’t want – a sergeant-major-type ordering us around for hours on end to capture our pained smiles in painfully posed photos. Kathryn was anything but this. With a fluid mix of casually posed and candid photographs, Kathryn’s quirky and creative style perfectly captured the fun of our day. Her energy, enthusiasm and good humour made Kathryn a pleasure to work with. So if, like us, you want a wedding photographer that embraces your day rather than defines it… Kathryn is your woman! Hi. 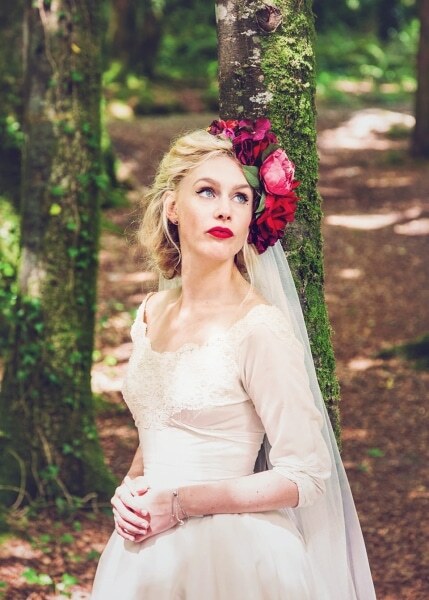 My name is Kathryn O’Shea and I am an award-winning West Cork wedding photographer based in Clonakilty, Cork Ireland. My passion is capturing the story of your wedding in pictures. I achieve this through a mixture of reportage photography and casually posed sessions. My approach to wedding photography is to tell the story of your wedding day as well as look for those finer details, those special moments that will make your story one that is truly unique and is a true reflection of the beauty of your day. I approach your wedding day with a relaxed, yet professional manner which allows you to focus on enjoying your day and confident in the knowledge that I will capture the unique spirit of your wedding. I have an avid interest in people and am attracted telling the story of your day as you would like to see it. 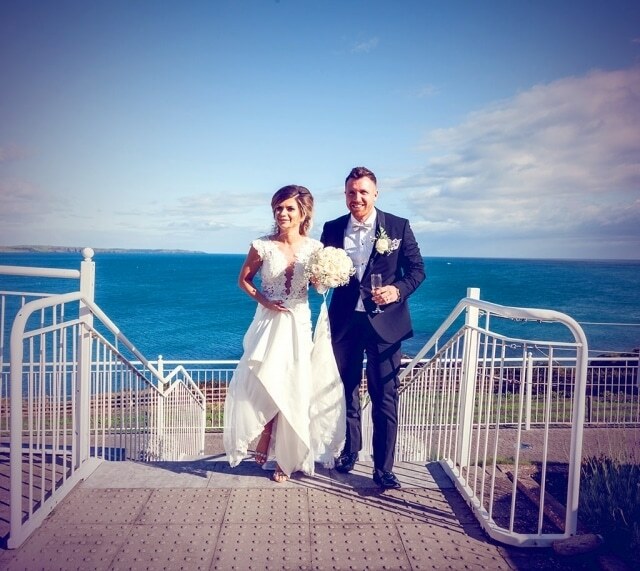 I will travel to weddings far and wide and especially enjoy the beautiful surroundings of the hotels, stately homes and stunning locales here in West Cork. With more than 20 years experience photographing weddings and other family events, I know exactly how to capture all those moments that will make your wedding pictures an heirloom to be treasured for generations. 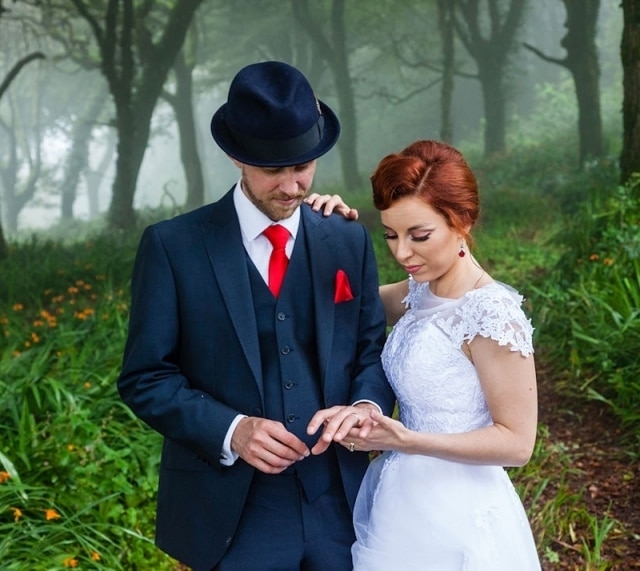 If you are planning a Cork wedding or a wedding anywhere in Ireland, contact me here or simply give me a ring at +353879856055 to discuss your wedding photography ideas.